This post was written in Aug 2011 and applicable as of then. The website of Registry of Societies was inaccessible around 2014-2015, and that was still the case as of 2018. Please read my 2019 follow-up post if you’re looking for Brunei societies and associations. 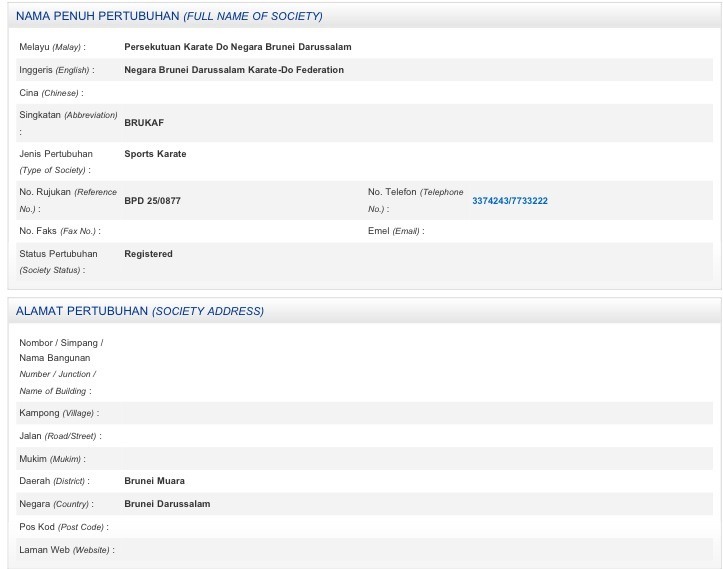 Last month, I was first aware that the Royal Brunei Police Force had launched their online Registry of Societies [dead link]. Out of 156 bookmarks on my project dir.proj.list [link updated 23 May 2017], a good number of them are linked to societies, associations and clubs registered in the ROS. In fact, my original motivation for the project was because, at the time, I couldn’t find a list of existing websites for Bruneian societies. 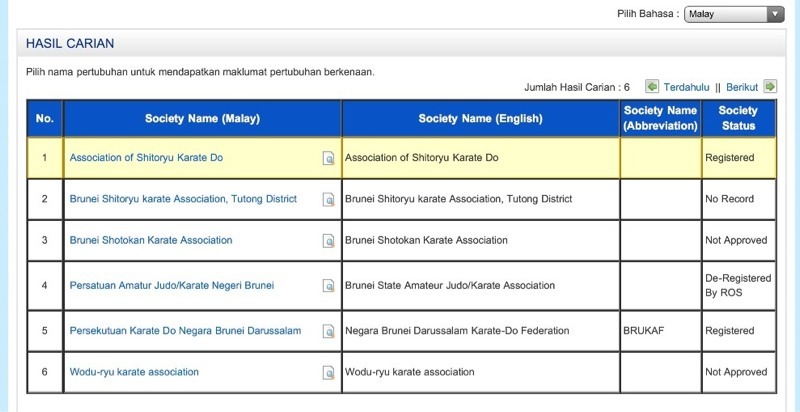 Directories such as OneBrunei and Yellow Pages Brunei listed phone numbers rather than URLs, and the societies did not often come back to update their listings when they had a new website. So when the website for Registry of Societies came up, I wondered, is my list still needed? Well, it is no longer a comprehensive list of societies (and never was). I first reflected that “my job is done”, and I could focus more on clubs and communities that are not officially registered with the ROS. There are probably still many of those, and I could help create a good starting point for people looking for them. 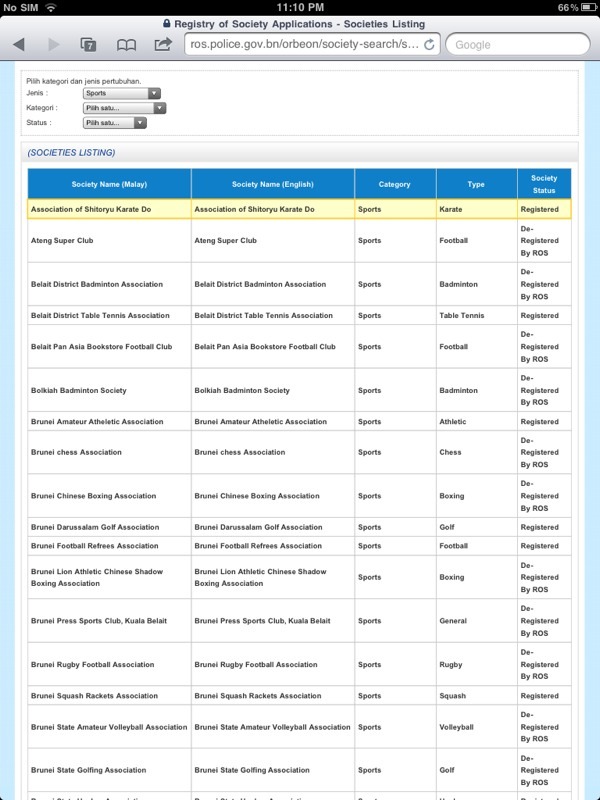 Then I noticed that the ROS does not list links to these societies’ websites or Facebook pages. The society probably has to give this specific information to the ROS. “Website” probably isn’t a mandatory field, it seems to have been added to the contact details area as an afterthought. But is a directory needed at all? I always felt that maintenance would be a problem, as website URLs change or turn into broken links. Many of societies are on Facebook, so Facebook search may be sufficient. On that note, Google search is still capable of digging up themed blogs and community websites. That last paragraph is to be expanded upon at a later date!